Beautiful and built to last. Pella Windows feature interlocking wood joints, weather-impervious glue, hardware built into the sash and frame for added strength and durability, treated wood to help resist rotting, and cladding that stands up to years of use. Whatever you're looking for, you'll find the color, size, shape and style you need. Features the patented technology that re-creates the charm of true divided light, yet adds a new dimension of energy efficiency and performance. Muntin bars (grilles) are permanently bonded to the interior and exterior surfaces of insulating glass. Architect Series� Luxury Edition (LX) double hung windows feature a historically correct appearance, including a wide bottom rail and narrow check rail, authentic spoon hardware, and a wood jambliner. Choose from three standard muntin bar (grille) patterns - Prairie Style, 9-Lite Prairie Style, and Traditional Style. Custom muntin patterns also available. 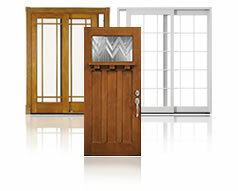 In addition, windows are available with removable roomside beveled-wood grilles or no grilles at all. Features the convenience of our exclusive snap-in between-the-glass blinds, fabric shades and grilles that are easy to change. What's more, window fashions tucked neatly between panes of glass are protected from dust, damage and little hands. Basic done beautifully - our most affordable windows are available in a wide variety of standard sizes and three standard exterior colors. By keeping our ProLine� offering simple we maximize your value. Pella factory-tests every standard venting ProLine� window for air infiltration - if it doesn't pass, it doesn't ship. Feature the patented technology that recreates the charm of true divided light, yet adds a new dimension of energy efficiency & performance. Muntin bars (grilles) are permanently bonded to the interior and exterior surfaces of insulating glass. Choose from four standard muntin bar (grille) patterns - Top Row Style, Prairie Style, 9-lite Prairie Style and Traditional Style. Custom muntin patterns also available. Choose from three standard muntin bar (grille) patterns - Prairie Style, 9-lite Prairie Style, and Traditional Style. Custom muntin patterns also available. Innovations Others Can't Touch. Features our exclusive snap-in between-the-glass blinds, fabric shades and grilles that are easy to change. Bays and Bows are more than just windows. They are combinations of windows that reach out into the world and capture the view. Even with limited wall space, a bay or bow window allows you to have more windows and more view�in a limited amount of space. Typically consist of three windows joined together. The center window is usually fixed, with operating double-hung or casement windows at the sides. Consist of four or more casement windows joined together to form a graceful curve. 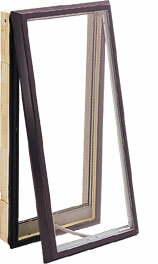 Choose windows with fixed glass (cannot be opened), or have two or more - even all - of the windows vented (can be opened). 12 1/2 and custom angles to fit any need. Many units available ready to install, so no extra time is needed for assembly. Pella Circlehead Windows are designed and built to fit perfectly over Pella Windows and Doors even the muntin bars (grilles) match the muntins on the window beneath them. Or, circlehead windows make delightful accents on their own. Add drama to a room with a Springline window. Crown a window wall with gently curving chord or elliptical windows. Or suggest Old World elegance with windows that soar to a Gothic peak. Our larger arch-head window serves wonderfully as a center window when flanked with vented windows. Or let them stand on their own. Then enjoy the view. Use a single window as an accent or make a bold statement with a wall of windows. Pella Special Shape windows are non-venting (do not open) and are available in a wide variety of shapes, sizes and styles. 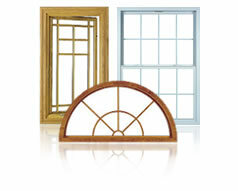 Special Shape windows are available in sizes up to 48 sq. ft. Bright ideas make Pella skylights the smart choice. Compare a Pella skylight to those of the leading competitors, and you'll see that you get more with Pella. More glass area for more natural light and view. More ventilation and temperature control with a skylight that opens wider. And more innovative options, such as a hidden motorized system that provides a sleek, unobstructed view and a rain sensor that automatically closes the skylight when it detects precipitation.